Matt Pavlik is a licensed professional clinical counselor who wants to see each individual restored to their true identity. He's written two books: Confident Identity and Marriage From Roots To Fruits. He has more than 15 years of experience counseling individuals and couples at his Christian counseling practice, New Reflections Counseling. To learn more about identity check out his blog about identity at ChristianConcepts.com. Matt and his wife Georgette have been married over 18 years and live with their four children in Centerville, Ohio. 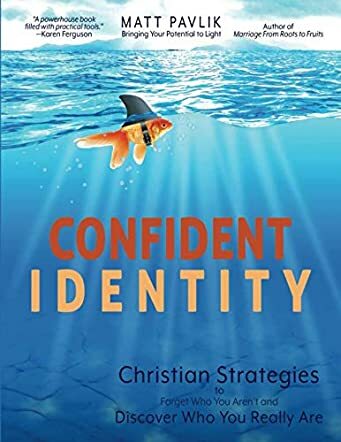 Confident Identity: Christian Strategies to Forget Who You Aren't and Discover Who You Really Are by Matt Pavlik is an insightful and uplifting book that will aid readers to have a better understanding of self and strengthen their identity. The book is full of insightful questions, constructive ideas, meaningful activities, easy-to-understand charts, and tests that help readers from all strata of society to explore their identity. The resources provide readers with mini therapeutic sessions that can be done at home or with a trusted friend or in a community group. Life is a journey and the book helps one look beyond rejection, failure, fear, and obstacles. What first caught my eye when I started reading this book is the interactive style the author has adopted while discussing the topic. That style helps readers connect with the contents better, thereby giving readers a boost forward in their lives. The book will help readers contemplate on the deeper meaning of life and its significance. The six steps of be, identity, do, mission, live, and sacrifice are helpful tools when it comes to maximizing god-given potential. The three parts of the book have been structured in a way that will give readers a clear picture of what they are looking for, to then investigate, and finally assimilate it into working knowledge. By the time the book is finished, everyone will have an idea about their true identity. The charts, diagrams, steps, and checklists make the concept easy to understand and apply.